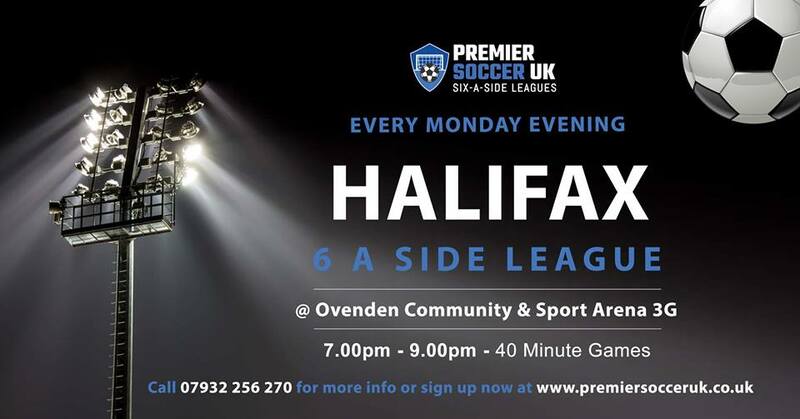 The Premier Soccer 6-A-Side League is well underway at OSCA (Ovenden Sports and Community Arena), Four Fields, Cousin Lane, Halifax. Teams are still needed to fill up the league so dust off those boots and get involved from Monday. Enter your team today at premiersocceruk.co.uk/team-signup or call Bradley Cole on 07932 256270 for information.